At first glance, choosing consumer devices appears to be a viable low-cost solution, with BYOD further reducing costs by eliminating the need to purchase and support devices altogether. The enterprise class device appears to be the most expensive solution. However, it is the enterprise class device that delivers the best value—it costs much less over the lifetime of the device, and is able to better meet business requirements. 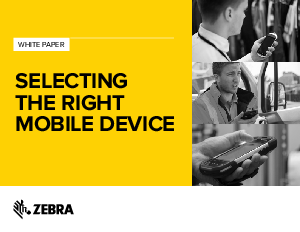 This white paper will examine all three device options, their differences, and how those differences impact performance, productivity and cost.